Has been out at the clubs every night of the week and I am exhausted! It wasn't exactly partying as it was more of work than play. Besides, it is beyond my budget to be keeping this type of lifestyle. In actual fact, I was out accompanying a couple of overseas friends surveying a few sites of Da Hu's nightlife. 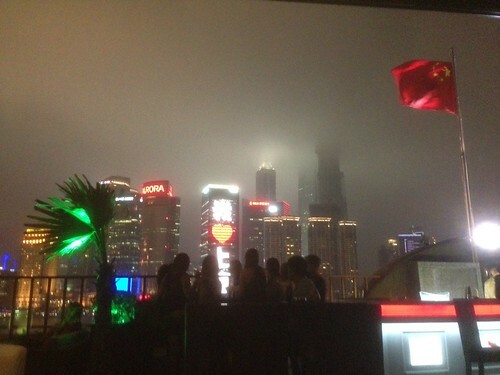 There was talk about setting a new club to add to the Bund's nightlife. 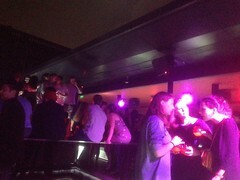 First stop was back to Club Cuvve at Bund18 which I mentioned in my earlier entry. That was the first night. The subsequent nights we headed to Zeal at Bund22, The House Of Roosevelt at Bund27 and also Muse On The Bund, recently relaunched by HK actress Carina Lau. It didn't matter whether it was a weekday or a weekend, these places were packed! And if you recalled how expensive a night of clubbing there cost, you take that number and multiply by the number of people in there. Goodness. That's a big number. So there I was on one of the nights at Zeal Club when these two ladies came up to me and asked me to buy them a beer each. I immediately had this flashback to the early 90s where there was these two per-pubescent girls (around what? 12? 13?) at Fire Disco trying to bum a cigarette off me to be shared between the two, which I gave them a good ticking off and walked away. Except these two were much older ladies in their 30s. A beer there is RMB 70 (about SGD 14 which is about right for a drink at a club). I gave them each RMB 100 and told them not to return. I didn't get any change back. It was madness at Muse On The Bund. 100 bottles of Moet & Chandon ordered and proudly displayed on the table. Goodness! Who drinks 100 bottles of champagne?? 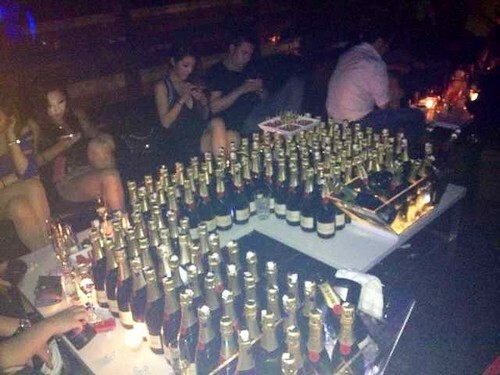 I calculated at a discounted price of RMB 750 (SGD 150) a bottle, the bill for these bubbly should come up to what? RMB 75,000 (SGD 15,000)? Common sense tells you that there is no way these bottles can be finished that night, given how many people was at this particular party. If that was the case, why bring out all the bottles? Peacock-ing. Obviously the host want to hao lian. A decadent display of one's wealth and to bait gold-digging ladies to bed. The next table, not to be outdone, was drinking Remy Martin Louis XIII cognac. Though not 100 bottles (god knows how much THAT would cost) but still, the two bottles of premium grape distill on the table were still able to attract quite a few fruit flies to the table. As night wore on, we are talking about people using bottles as baits. Then Kev said that we should get two bottles of 4.5-Litre Glenmorangie Single Malt the next time we come. At RMB 4800 (SGD 960) a bottle, he said it's very worth it.